The Rolex Mid-size DateJust is 31mm and a great large watch for women. Many women prefer the larger size for its easy readability. Beckertime will show you how to set the date and time of this great timepiece. 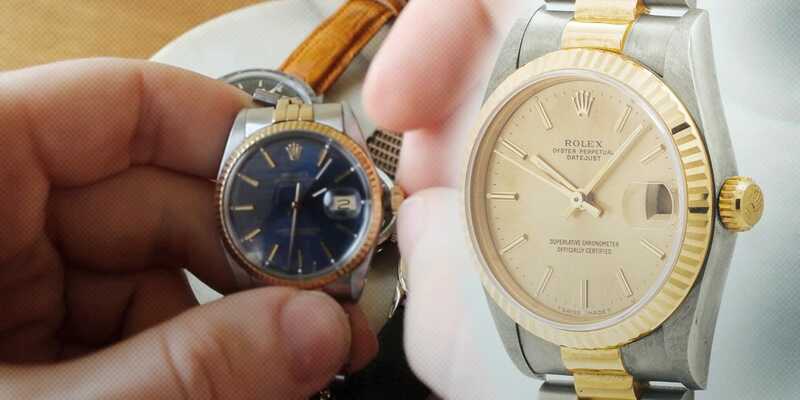 This is a mid-size Rolex DateJust watch, reference number 68278. This is the Quickset model. The mid-size is the 31mm model. I am going to show you how to wind and set the time and date to this beautiful timepiece. Right now the watch is in its wearing position. The wearing position is when the crown is screwed in, all the way, allowing the watch to be water tight. Now if you have just received the watch because it is been in a UPS, FedEX, or USPS box for a few days, it will need to be manually wound to fully charge the movement. The other reason to manually wind your watch is if you have not worn it in a for a day and a half or longer as the power reserve is 36 – 48 hours depending on its service history. Lets’ begin. We are going to unscrew the crown in a counter clockwise motion to where it unthreads. Next, we are going to in a clockwise wind it approximately 20 full turns, again, notice that I am going clockwise, not going back-and-forth. Okay, next what we are going to do is set the date. We are going to gently pull the stem out and we are going to set the date to the correct date which happens to be the 12th. Next, we are going to set the time. We are going to pull the crown out to its last position and we are going to take the time. Right now it is 10:55. There we go. Now, we are going to screw back in the crown so that we can wear it. Push it all the way in, and turn up into a clockwise position. Now it is again screwed in and water tight and ready to be worn and enjoyed.